At the heart of one of the largest redevelopments in Northern California, Candlestick Point is raising the bar for environmental performance in the region, and reducing its environmental impact significantly. Candlestick Point will achieve ambitious energy cost savings through a combination of efficient and cost effective mechanical systems, optimized envelope design and on-site photovoltaic panels. Atelier Ten studied the southwest and southeast façades of the residential buildings and identified significant energy cost savings from reducing solar gains through optimized window to wall ratio, shading and high performance glass. Atelier Ten’s recommendations on the residential mechanical system selection, lighting power density, exterior shading and on-site PVs achieves an energy savings up to 22%. Title 24 energy calculations and tenant guidelines were also completed. 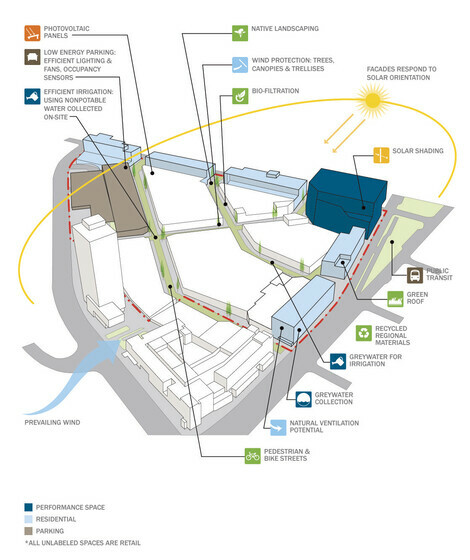 Atelier Ten also led the water system design for this neighborhood scale project to reduce water storage needs, reduce pipework, increase water savings, while maintaining equivalent stormwater filtration benefits. 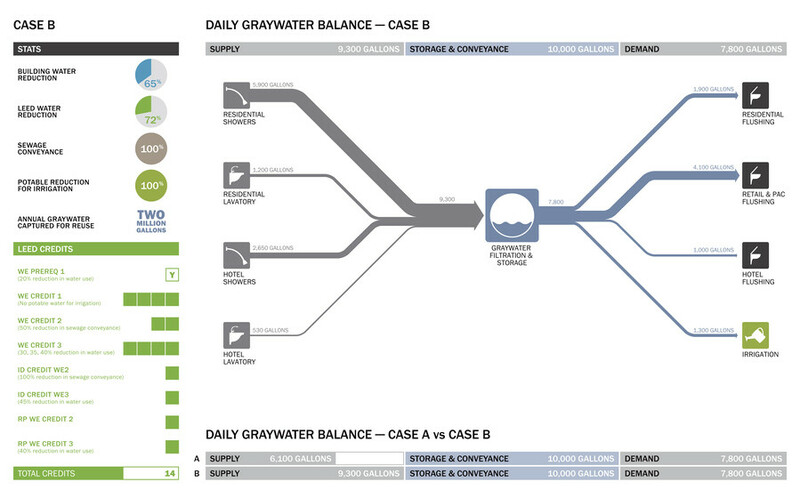 The system design targets “zero water waste” and reduces capital cost by 68% compared to the initial stormwater management concept.